Companies nowadays face numerous challenges; organizing your business is not an easy thing especially when being competitive and marketable is mandatory. Adaptability is a very desirable skill, whether you like changes or not. Abilities for changes and innovation are simply the tool to become competitive and marketable. Operation and task delivery in complex systems are also challenging, because it’s a part of human nature to consider every task on a list as a crucial. Eventually, priorities force you to compare each task to determine how important it really is. And how you will achieve this goal and your benefits, reach maximum of efficiency. The group of software development leaders tried to find a solution for the permanent problems in their industry, lack of time and budget to complete all project requirements. Very often important projects ended as a failure, because it turned out they are not applicable at all. But they cost a lot, in the sense of human resources, as well as time and money invested. Since it became obvious that traditional methods won’t be able to provide right solution, because each project follows the same lifecycle, which includes five stages: initiating, planning, executing, controlling, and closing. Since this approach was primary oriented on resources, these leaders created new one in 2001 and they call it Agile. Although Agile Manifesto with Agile Principles was created in 2001 and base of methodology had been established, Agile ideas appeared a few decades ago. Pioneers were again in software development since they needed a tool to manage and develop large software projects. 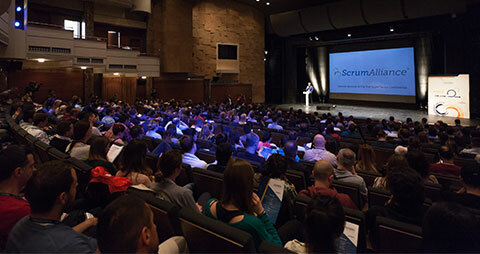 In the following years many companies and organizations across the world adopted Agile as a method, some of them more open for its ideas, some of them less. For sure, Agile exceeded its software industry role and purpose. Agile is a process designed to help teams provide quick and unpredictable responses to the feedback they receive on their project(s). It’s also the term used to describe approaches to software development emphasizing incremental delivery, collaboration and continuous learning. It creates opportunities to assess a project’s direction during the development cycle and it’s people oriented. This is an ability to create and respond to change in your environment. Agile helps you to become able to adapt quickly to change, because change says uncertainty, but it’s challenging. Often it presents opportunity to step forward and Agile makes your path much easier. 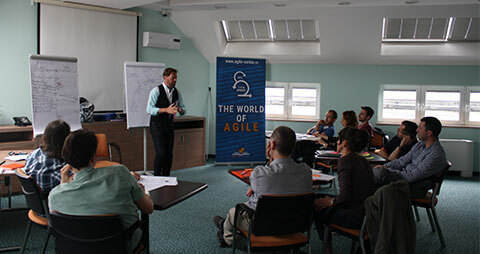 During time Agile has become an attractive developmental option for all stakeholders. It deals with challenges by fixing time, budget and quality, also it can be flexible when it comes to scope. Agile teams can obtain integrity of their plans, and to work according to objectives. They avoid risk to burn out, or dysfunction within the team. Main focuses of Agile are final product, flexibility, communications and the expertise of team members. Project management based on Agile is an iterative approach to project management, it is a process which provide team manage project by breaking it up into stages called ”sprints”. It results with easy delivery of a working model and succeeding incremental modifications through several iterations. Moving away from component teams is a difficult but also necessary in a way to adopt an agile project management approach and to meet its benefits. Achieving the benefits of Agile requires that people and teams understand what they really mean, and how to implement them. Agile provided a valuable support in optimization of project development activities, because of the relationship between stakeholders, development team and projects. So, the benefit of Agile will be in acceleration of business values, as well as ensuring that value is continuing to maximize itself throughout the complete process of product development. Adapting to changing requirements is identified as one of the key project management challenges for project managers, because sometimes you simply cannot avoid them. Agile will help you in dealing with changes in the best way. Agile helps developers deal with most of the project pitfalls with schedule predictability, cost, and scope creep in a controlled manner when it comes to development. Agile approach helps teams and organizations in cutting losses and costs which makes them more efficient in achieving any of their business goals, such as product and customer/user experience improvement. Agile breaks down the project into many manageable units called sprints, to let the project team focus on high quality development, collaboration, and testing. Agile helps in understanding what is most important for the client’s business. Therefore, it allows the clients to determine the priority of features and help the team to deliver a product to the clients. Agile approach provides multiple opportunities for the team engagement and enables continuous improvement, especially with retrospective as one of the most important practice of Agile, which lead teams to better operations and results with more efficient work. 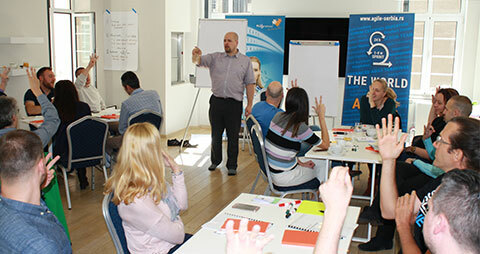 When are you ready to implement Agile? Agile might be a magic solution you are looking for, but it won’t create magic by itself. It depends on the way how you are implementing it. Agile is not just a method, it is a way of thinking and acting as well, one-word mindset. It requires leaders, strong individuals able to take responsibility. Also requires team spirit and collaboration, instead of command and control. Yes, Agile creates uncertainty, but brings clearly defined goals and deadlines. Ability to analyze priorities and to change them if needed, without exposure to high risk of failure. Agile gives products that clients can take to the market and leads to mutual satisfaction, client’s and teams. Ongoing change is not always easy and smooth, but Agile appears to be a winning solution. 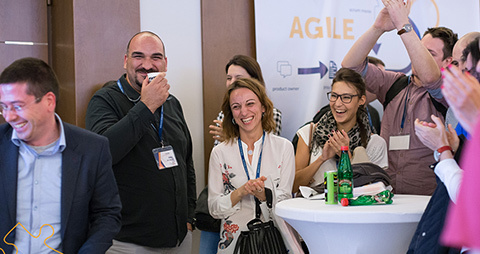 Agile Serbia is fully aware of the benefits Agile can bring to our clients, improving their business organization and performance, leading them successfully through the transformation process and improving user experience, resulting with income increment. That’s why we share benefits and values of Agile with all interested parties, making their business process and organization more efficient.